To make your move more efficient. $140.00 per hour for Three Men. $120.00 per hour for Two Men. Our rate is the same Monday thru Saturday. You may pay by check or cash at the completion of the move. There is a minimum two hour charge. Extra charge for items such as Large or Heavy Workout Euipment, Pianos, Old Big Screen TV, Picnic Tables, Riding Mower or anything else not considered normal household furniture. Please let us know if you have these items so we can bring the right equipment to move them. In the event you should need a Rental Truck, Pod, etc. loaded or unloaded we can provide professionally trained movers to help you. The cost is the same as above. Insurance does not cover this service once the rental truck or pod is loaded or if we are unloading a rental truck or pod. The items in truck or pod will move around during transit which is beyond our controll. Our estimates are made to advice you and help us with our scheduling. The actual charge will reflect the exact time spent on your move. You will be charged for the actual drive time to and from the job. I only mention this because so many people ask. Yes, our men will accept tips, If you feel they deserve it, of course. The better prepared you are for your move, the more efficient and economical your move will be. Any unwanted furniture or items. a good home for it. Must be in great shape. Mr.Mover has been moving families and their belongings for more than 24 years. We take great pride in our ability to offer our customers a fast, friendly, professional and affordable moving experience. 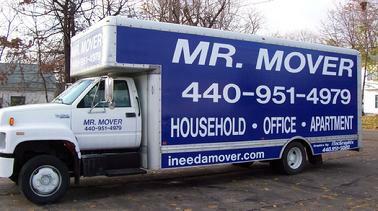 The owners of Mr.Mover will be there every step of the way to help you through your relocation. F.Y.I. If you plan on doing your own packing, pack everything in boxes. Mark room destination of each box on top and sides so we can place boxes where you want them. Please do not make boxes to heavy for movers. Try to keep them 50 pounds or less. Make sure boxes are taped properly to prevent them from falling apart during the move. All drawers must be empty. We are not liable for items left in drawers. 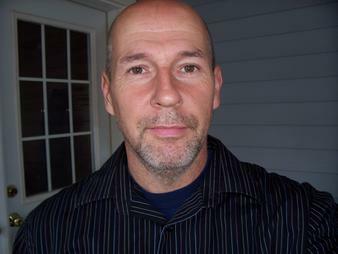 The Mr.Mover family Thanks you for considering us as your mover. We would appreciate you disconnecting and reconnecting your appliances. We cannot reconnect the water line on the refrigerator or your gas appliances. We cannot transport flammable liquids. Empty gas from gas tanks. Remove tank from gas grill. No flammable items on truck. Lamps,standing lamps and shades are not covered by insurance. If you allow the movers to drive the truck across your lawn, or ask the movers to move your items in a unsafe or unusual manner, or move an item that already has a damage or defect, we our not liable. SAUDER FURNITURE, IKEA FURNITURE, PRESSED WOOD FURNITURE, and PARTICLE BOARD FURNITURE WILL NOT BE COVERED BY INSURANCE. Unless Packaged In Original Box. Mr.Mover has a variety of moving trucks and equipment to make the job more efficient and economical for our customers.